If you have been arrested in Franklin County and are required to appear in municipal court, it is in your best interest to hire an experienced criminal attorney. Call Attorney Adam Burke today for your free consultation at (614) 280-9122. The Criminal and Traffic Department processes and maintains criminal, traffic, and environmental cases. Traffic and Criminal Arraignment court sessions are held Monday through Friday at 9:00 a.m. in the Municipal Court Building. Court begins at 9:00 a.m. with the doors to the courtroom being opened at 8:30 a.m. on a first come, first served basis, excluding holidays. OMVI (operating a motor vehicle while intoxicated) arraignments are scheduled for 9:00 a.m. Felony preliminary hearings are scheduled for 9:30 a.m. or 10:00 a.m.
All defendants (IN JAIL) with criminal and traffic misdemeanors arrested before 11:00 p.m. the night before court. All defendants (IN JAIL) with new felony cases or preliminary hearings. Court begins at 9:00 a.m., Monday through Saturday, excluding holidays. Applicable Rule 4 Hearings are scheduled for 9:00 a.m. Scheduled for each Tuesday and Wednesday at 9:00 a.m. If you have been charged with a criminal offense in Franklin County, it is in your best interest to hire an attorney who is experienced in handling cases in Franklin County Municipal Court and understands the court process. 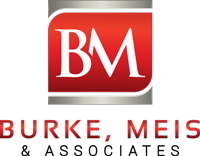 Call Burke, Meis & Associates today at (614) 280-9122 for your free consultation.